Art created in confinement may be the most beautiful art of all. Why? Because this type of art comes from a place of utter vulnerability and realness. 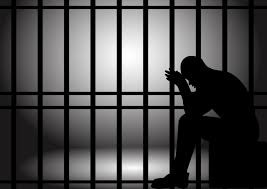 Those who are confined have been stripped of many freedoms and consequently have emotions that are also stripped and raw. This is why the art that is created from this frame of mind is nothing short of amazing. The Holocaust Period was perhaps the greatest era in history in which art was created in confinement. Individuals held in concentration camps were not just confined; they were also brutally tortured. But the incredible fact is, these individuals managed to find whatever makeshift art supplies they could to craft magnificent drawings and paintings. 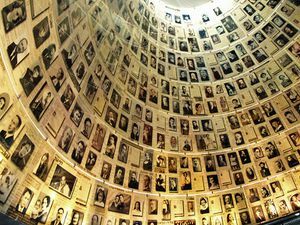 Yad Vashem, the World Center for Holocaust Research, is located near Jerusalem, Israel. Amongst its many galleries and displays is an art museum that will take your breath away. This art museum features walls and walls of drawings and paintings that were created by artists held in death camps. These works of art, some gruesome, some hopeful, give us an inside look at the emotions Holocaust victims experienced. At the same time, the pieces remind us of the inherent ability we as humans have to look within ourselves and draw out passion and beauty in the most hideous circumstances. When individuals who are in confinement create art, the sheer value of art itself is displayed. For example, it was very dangerous during the Holocaust to create art, but death camp detainees created it anyway, even in the face of losing their lives as a result. Why would anyone risk his or her life for art? Perhaps because art has the ability to keep the human spirit alive. This ability makes art intrinsically valuable. Art created in confinement is not unique to the past. A recent article published by www.wishtv.com tells us that currently jailed juveniles are utilizing art for self-expression. Not just that, creating art is helping these juveniles find purpose for their lives. Reportedly, youths held in the Marion County Jail were caught with what the aforementioned article referred to as “artistic contraband”: art supplies. Instead of punishing these youths, the Marion County Sheriff’s Office decided to team up with the Indianapolis Art Center to allow dozens of juveniles to take part in a program geared toward teaching visual literacy and art skills, as well as building confidence and empathy. The art skills that are being taught to youths held in the Marion County Jail are proving to have a positive effect on these young people’s lives. How Has Making Art Helped You? Has there ever been a time in which art was a lifesaver for you? Perhaps you went through a traumatic event and turned to art in order to maintain your hope and sanity. If you’ve had an experience like this, or have created art in confinement, we would love for you to share a comment with us. I feel immense gratitude to have never suffered through these confinements – such a testimony to the human spirit to overcome the worst that life can offer. Hope this is against the rules, but I wrote a piece about art and colour and depression; the painter Marlene Dumas; women of the Pop Art movement, and Accidental Renaissance. It’s not making art, but it’s close enough and work like this has really been helping me through a difficult patch of illness, sadness and seismic life changes.